Snapchat’s had a busy week. The company just made a handful of announcements – let’s take a closer look at all three. Friendship Profiles – these private content hubs feature highlights from your chats with a particular friend or group. Everything from pictures, videos, links, messages etc. will appear when you tap on someone’s Bitmoji, along with Snap Map locations (if shared). WhatsApp, Messenger and Apple’s iMessage all do something similar, but show everything rather than highlights. Bitmoji Stories – this is actually really fun. 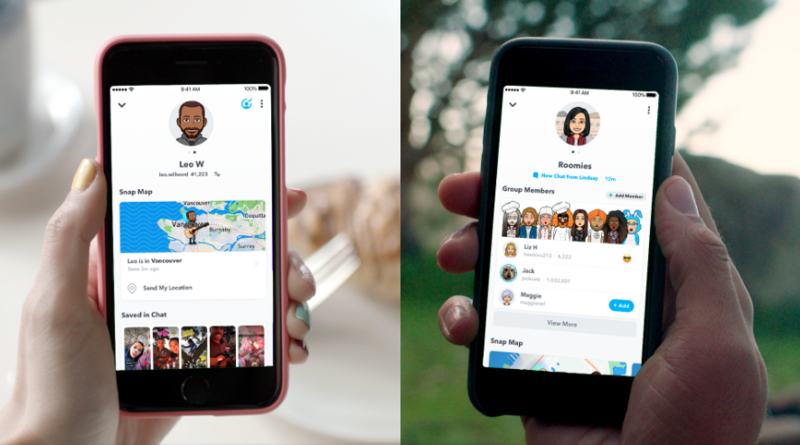 Snapchat will begin showing US users a weekly story featuring their own Bitmoji and their friends’. This is a nice touch and will draw more users over to the Discover section, which will, in turn, spark more ad views. 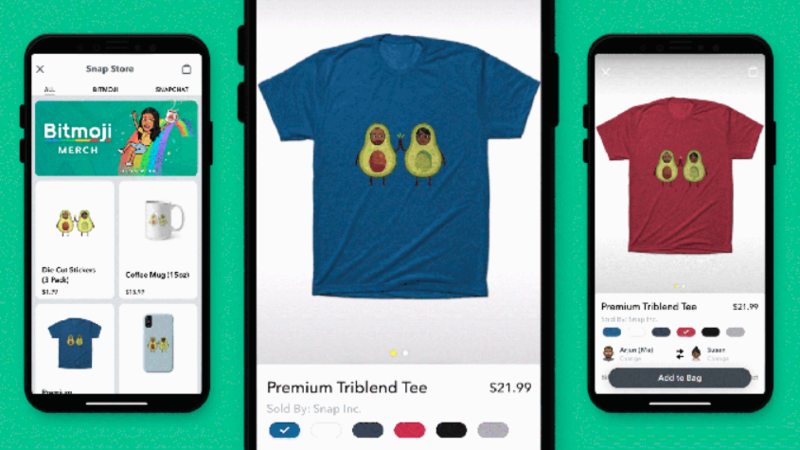 Bitmoji merchandise – again a US-only feature, you will soon be able to buy merchandise in Snap Store that features your Bitmoji and your friends’. Stickers, coffee mugs, t-shirts, notepads, towels, and pillowcases are all available. I can actually see this being quite popular, although the novelty value could wear off quickly. Either way, it will get Snapchatters used to buying through the app. Which to be fair is probably the ultimate goal anyway. There are quite a few factors that differentiate Pinterest from Facebook, Instagram, Snapchat etc. One of the major ones is the multi-column feed layout. Every other platform of course opts for single image scrolling. But now Pinterest is joining them… at least within its “following” tab. Launched in early 2018, the following tab does what it says on the tin: only shows you content from people and boards you follow. From now on, Pins shown in the following tab will be displayed in an “immersive single Pin format” for easy scanning from idea to idea. Along with this comes another change. Tapping on a Pin will take you directly to the publisher’s website for more information, instead of a close-up of the content. Removing one step in the pathway from Pinterest to site visit is great news for marketers on the face of it. The more simple you can make the conversion journey, the better. More people on the site will almost always equal more sales. But it’s worth bearing in mind that, especially in the early days as people get used to the new functionality, there may be a high number of accidental clicks. We all know that Instagram Stories are a big deal. Scratch that. A HUGE deal. 400 million worldwide users is a stat that speaks for itself. Just take a look at this insane growth. As you can see, it’s only being outdone by WhatsApp’s Status (read the latest news on that here). 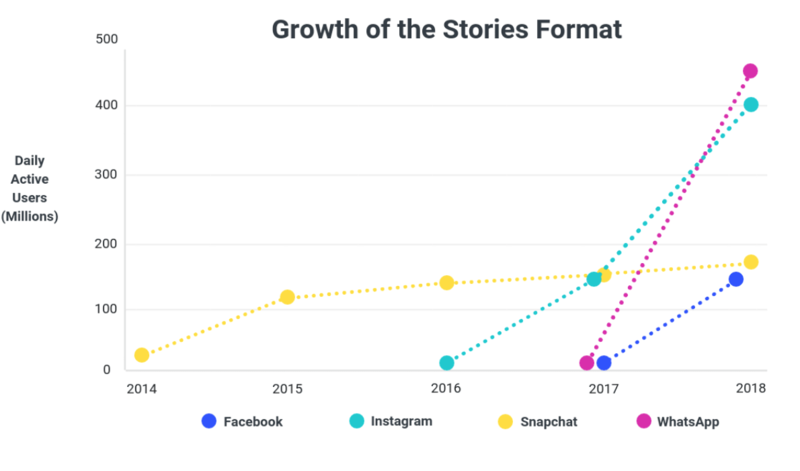 But aside from impressive usage figures, how much do we really know about Instagram Stories? What works and doesn’t outside of our own experience? Well, thanks to an analysis of 15,000 stories from 200 of the world’s top brands by Buffer and Delmondo, we know more now. 1. 1-7 stories is the optimum posting rate – publishing over 7 story frames resulted in a drop in completion rate, but only to below 70%, which is still really good. Accounts posting over 20 stories still saw a completion rate of 55%. Wow. 3. Stories posted outside work hours do better – spikes in completion rates were noted during mornings, evenings and lunchtimes. 4. Completion rates have doubled since 2017 – for brands and businesses. Posting frequency has dropped slightly though, which could be a contributing factor. 5. Average reach rate is 5.82% across brand and businesses verticals – not bad at all. Sport had the best result in this category at 10%. While this research is super valuable, and diving into the detail is definitely interesting, many of the findings are what you’d expect: stories have great reach and retention rates, users are more and more willing to watch until the end (with a drop off after 7 frames), and publishing outside work hours is a great bet. There’s no doubt LinkedIn is an important domain for businesses (some more than others, of course). With a community of 590 million, you can’t deny the opportunity. But in the past few years, the platform has been slow to keep up with the pace of evolution shown by other social platforms. To counter this, LinkedIn has been recently rolling out update after update, including a Bing advertising tie-up, a new algorithm, GIFs, voice messaging, Vimeo integration and loads more. And the latest update is Pages (sound familiar? ), the next generation of Company Pages. As stated in the launch blog post: “Pages have been rebuilt from the ground up to make it easier for brands, institutions and organizations… to foster constructive conversations with LinkedIn’s community”. Improved community management – Admins can now post updates and respond to comments on the go from the LinkedIn app, plus associate their Page with hashtags. A wider range of documents can also be shared such as Powerpoint presentations, Word docs and PDFs. 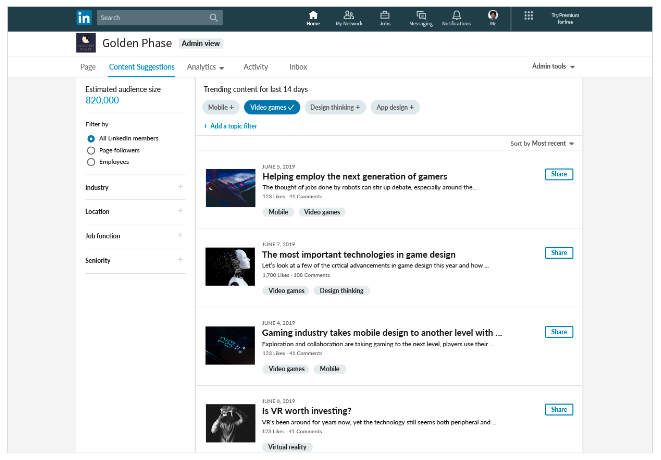 Contest Suggestions – LinkedIn will now surface the topics and content trending with your target audience. The idea of this is to help shape future content. Career Pages – an opportunity to tell potential future employees more about your company culture. 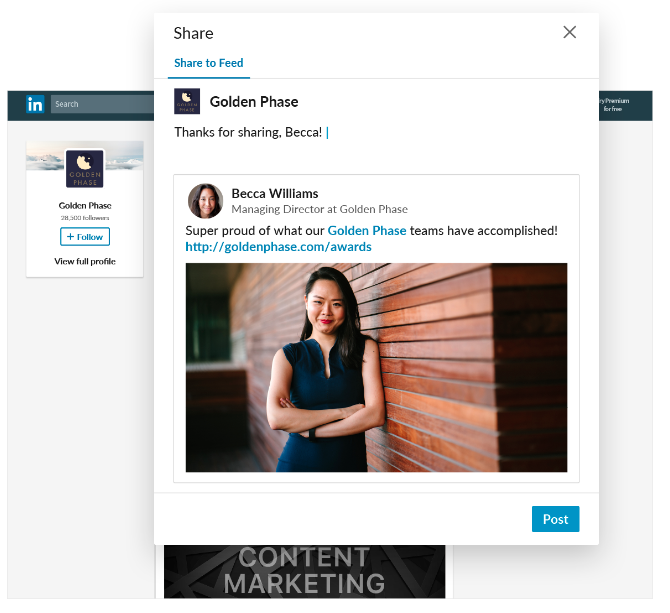 Engagement tools – a new suite of engagement tools is on the way, which will make it easier for businesses to share employees’ public posts, and respond and reshare posts mentioning your company. Enhanced partner APIs – will make it easier to access Pages from your favourite third-party tools, e.g. Hootsuite. I’ll leave you to decide for yourself how significant you think these updates are. I personally found myself thinking “wait, you couldn’t already do that?” quite a few times while reading the announcement. The truth is, LinkedIn is playing catch up. And that’s a good thing, but it also means that many of its updates are less exciting than they would have been a few years ago. If you ask me, one of the best marketing trends to emerge over the past couple of decades is the shift in focus from product to people. But while it’s true that most businesses now recognise the importance of understanding customers and keeping them happy – are we doing enough? A new report from Acquia – which surveyed over 5,000 consumers and 500 marketers – has revealed an interesting difference between how brands rate their customer experience and how the customers themselves do. 87% of marketers think they are delivering on customer experience, despite most not being overly impressed with their own experiences as a consumer. And as it turns out, an overconfident response: almost half of consumers said their expectations aren’t being met. I guess the next question has to relate to what those expectations are. And that’s an increasingly complex topic, which is continually evolving. Consumers these days demand a personalised and connected experience. Their expectations of engagement and responsiveness are high. But so are the pay-offs for listening and adapting to what they want. 78% said they’re more inclined to be loyal to a brand that understands them and what they are looking to achieve. Unfortunately, 2 out of 3 consumers couldn’t recall the last time a brand exceeded expectations. The key takeaway here is to make sure your brand is the 1 in that trio that goes the extra mile. It’s worth noting that the study only covered the UK, US, Australia, France and Germany, and was fairly small scale.